Mid way through grade 12 I began the application process to join the Canadian Armed Forces. Before the end of the school year, I was offered employment as a pilot and a full scholarship to attend university at Royal Roads Military College (RRMC) in Victoria. The chance to get a degree with all costs covered, to do so on the West Coast and escape the prairie winters for a few years, and the chance to become a military pilot after graduation, was just too enticing of an offer for this farm boy. Thus, I accepted the offer immediately. Soon after graduating from high school I was off to Basic Training in Chilliwack, BC. I have often been asked why I made the decision to join the Canadian Forces. Upon reflection, I have came to the conclusion that it was not any one thing but a general feeling that it would be a good fit for me. The one person who was probably the greatest influence on me joining was my Grandfather, Joe Gibson. He had served during WW II as an airframe mechanic in the Commonwealth Air Training Plan. He was stationed primarily in Western Canada and demobilized immediately upon the war’s end. 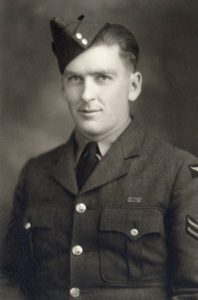 Nonetheless, the quiet pride he had in his wartime service, the significant work he did done with the Air Cadet program, and his lifelong support and involvement with the Royal Canadian Legion always impressed upon me the inherent goodness and dignity of service in the Armed Forces.